Product code: ES7863 Categories: Sold Items, Sold Pocket watches. Here is a very solid gold gents full hunter pocket watch that feels fantastic to hold in the palm of your hand. 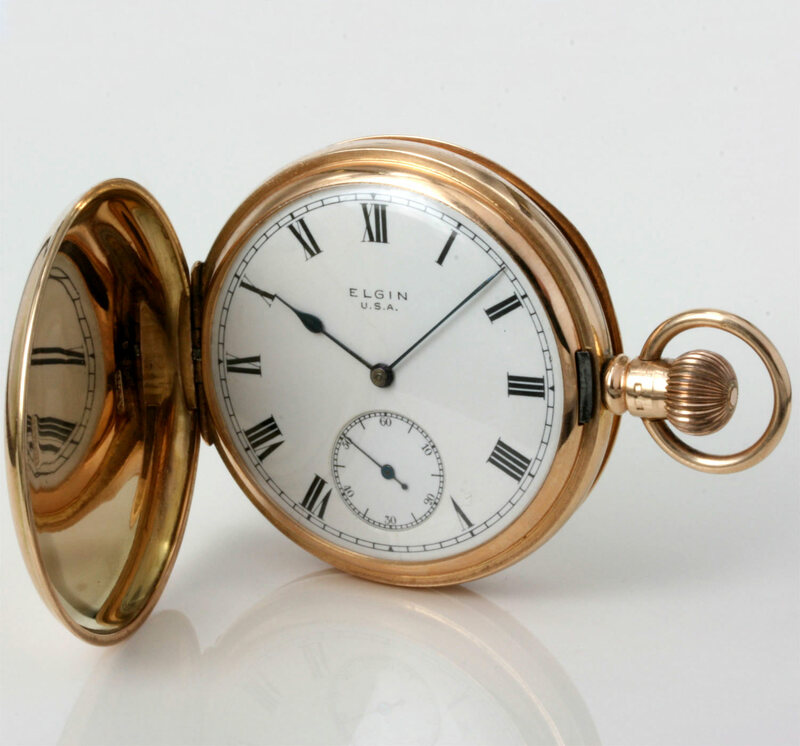 Made by the American firm Elgin in 1916, the case was made in England by the Dennison watch company in 1909 in 15ct rose gold, and is in wonderful condition with all the hinges still in great condition. Measuring 50mm across, this is a fantastic gents pocket watch that feels superb to hold. Inside is a 15 jewelled crown wind and set movement with a micro-regulator that has all been serviced and runs great. The dial is all original and still in superb condition and so easy to read with the traditional Roman numerals and sub-seconds at the bottom. If you have been after a classic solid gold pocket watch, then this might be the one for you.